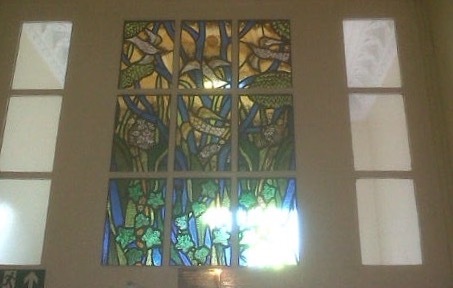 As part of the Christine Boyce exhibition at the Archive Centre, Lady Gillford’s House, Carlisle, the stained glass panels previously installed in WI House, Lonsdale Street, will be on display for the whole of November. The panels were commissioned to celebrate the Federation’s 80th year and the millennium. NFWI Chairman at the time, Helen Carey, conducted the dedication ceremony on 11 May 2000. This is a wonderful opportunity to view the beautiful stained glass, as well as other work by artist Christine Boyce.